The fourth installment compares jet card programs – terms, availability and more. Safety first. It’s the mantra of all of the aviation world globally. Like flying commercially, flying privately is safer than taking a bath. In 2015, nearly 5,000 deaths from drowning in one’s bathtub were recorded in the U.S. For general aviation, there were 384 fatalities. Still, when spending hundreds of thousands of dollars for a private jet card or prepaid charter program, you probably want to know where the planes you and your family will be flying are coming from. One advantage of jet card programs is the expectation of consistent standards in terms of sourcing the planes you will fly on. In some cases, your jet card provider operates the fleet you will be flying on, although during peak periods providers (including fractional operators) will charter planes from the open market to meet demand. 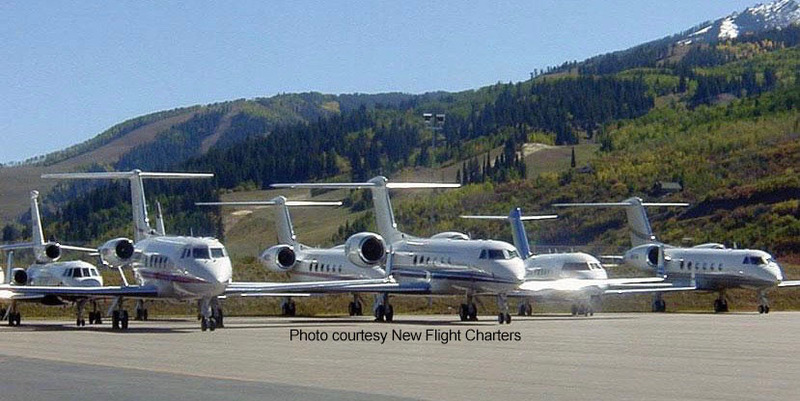 There are about 7,500 planes in the U.S. available for charter under Part 135, either via brokers, jet card providers or directly from the operators, although often they are being used by their owners. Out of this fleet, executives estimate that there are a couple thousand planes that fit the needs of the charter and jet card market, both in terms of what customers will accept for age (a 40-year-old plane may be safe, but many consumers don’t want to fly on one), cabin condition, interior configuration, complete maintenance records for inspection, and availability. While using a company that owns or operates its fleet may seem like an advantage to one person, it’s not a one size fits all market. Several brokers who sell jet cards I spoke with have significant in-house safety departments to oversee the planes they charter to fulfill your jet card flights. This is Part 1 of 2 parts on sourcing planes and also pilots. In Part 2, I will share what questions experts say you should ask providers about how they source airplanes, pilots and other safety related issues to consider. I found that for sellers of private jet cards and prepaid private jet programs, fleet composition broke down three ways: Some companies fulfill flights via fleets they either directly own or manage and operate. Others, like charter brokers, go out into the market to source planes, while some feature a hybrid model, owning or managing jets, but also sourcing them like a broker. Some programs have age limits on the jets they will offer you, and most use two industry rating services, ARGUS and Wyvern, which rate operators. Some have even further in-house standards and reviews. Air Partner says it has access to over 5,000 carriers globally through a preferred network of providers. The Air Partner Group has an internal Quality Management System focused on safety. This system, in addition to national safety expectations from the European and American Civil Aviation Authorities, systematically promotes (when available) companies that suit at least one of the following: Wyvern Wingman or Registered expectations, ARGUS Platinum or Gold Plus rating, IS-BAO certification, IOSA certification. Airstream Jets employs a dual-layer approach to safety, according to the company ASJ only utilizes ARGUS Platinum/Gold rated aircraft and crews. Pilots and aircraft must also undergo additional in-house screening and clearance by ASJ management. The fleet of Clay Lacy is made up of 90 owned jets and jets it manages for owners that have been audited and received the following ratings from third party safety auditing companies: ARGUS Platinum; Wyvern Wingman; and IS-BAO Stage 3. In addition, Clay Lacy has received the FAA Diamond Award and NATA Five Stars award recognizing excellence in maintenance procedures and training. When sourcing aircraft beyond its charter fleet, it uses the Wyvern and ARGUS systems to verify ratings of third-party charter operators. Clients can specify preferences related to the age of the jets they want to use. The fleet is mainly based in the Western U.S., particularly on the West Coast, and its Executive Traveler Program is targeted for customers in the region. Delta Private Jets has more than 70 aircraft, a combination of managed and floating fleet. All operators are ARGUS Gold or better, and DPJ last year said it was co-funding with the jet owners enhancements to the cabins of its planes, an unusual move for a management company. In the Business Jet Traveler survey of jet card programs last year, 70% of readers marked the operator Excellent/Very Good for Age of Aircraft, while 80% of readers gave it Excellent/Very Good marks for Cleanliness. Flexjet operates its own fleet. It offers fractional ownership and leases as well as jet cards, which are available on its Challenger 300 and Phenom 300 planes. In the Business Jet Traveler survey, 77% of readers gave Flexjet Excellent/Very Good marks for Aircraft Age, with 88% scoring it in those two categories for Cleanliness. Jet Linx has 90 aircraft under management, and in addition to third party ratings, it has its own in-house compliance team that audits planes to ensure Jet Linx standards are being met. The company has an interesting model selling management and jet cards from 14 base airports and growing. Its jet card sales focus is targeted at customers in those markets. At each of these bases, it operates its own terminal with dedicated staff. Its current locations include Atlanta, Dallas, Denver, Detroit, Ft. Worth, Houston, Indianapolis, Nashville, Omaha, San Antonio, Scottsdale, Tulsa and Washington D.C. Operators must have over $50 million insurance, must be ARGUS Platinum or Gold, with perfect safety and maintenance records. JetSuite’s owned fleet, like the company, is relatively new. Its Phenom 100 and Citation CJ3 were all delivered new between 2009 and 2013. The operator received Excellent/Very Good ratings from 87% of Business Jet Traveler readers for both Aircraft Age and Cleanliness. Using planes that seat four seven passengers, JetSuite’s strength is with customers that want new planes, an owner-operated fleet and are focused on flights around two hours or less. Magellan Jets doesn’t own aircraft but instead sources aircraft and operators that that have been pre-screened and qualified through the proprietary standards of its Magellan Jets Preferred Network. MJPN criteria uses data provided by ARGUS, Wyvern, ISBAO, and the Air Charter Safety Foundation, as well as internal due diligence by the company’s flight support and compliance team. The team is comprised of professional pilots who understand best practices in safety for both aircraft and the crew. Magellan has a 42-point safety checklist for every flight segment, including information such as crew time in type of aircraft. You can customize a program around 10 different jet types and even specify a jet card program that guarantees WiFi. NetJets is the largest fleet operator with some 700 planes. NetJets offers fractional share and lease options. For its Marquis Jet Card program, there are 10 different plane types across the Light, Midsize and Large cabin categories. The company has an impressive operations center in Columbus, Ohio (I’ve personally toured it), and with Warren Buffett’s Berkshire Hathaway as its owner, and clients like Bill Gates, Rodger Federer and Tiger Woods, is one of the highest profile companies in the private aviation market. Nicholas Air offers fractional shares and leases as well three different jet card products. It buys its planes (Pilatus PC-12, Phenom 100 and 300, and Citation Latitude) directly from the manufacturer, operates them and all aircraft are five years old or less. Solairus has a managed fleet of over 100 private aircraft nationwide with four programs broken into Very-Light, Light, Mid-Size and Super-Mid categories. Solairus holds the Platinum rating from ARGUS, the Wingman certification from Wyvern, and is one of only 100 operators worldwide to be IS-BAO (International Standard for Business Aircraft Operations) Stage Three certified. Private Jet Services (PJS) Group offers age differentiation within its programs. Elite aircraft are manufactured in the year 2000 or younger and are an average age of six years old. Priority aircraft may be “slightly older” but are held to the same safety standards. It has its own in-house Director of Safety who oversees its vetting program. PrivateFly doesn’t own or operate aircraft so it goes out into the market to source aircraft. It is an ARGUS certified broker. The company says, in addition to working with operators who meet industry safety standards, it conducts its own due diligence, including vetting insurance, airworthiness certificates, and aircraft inspections. Upon request, PrivateFly says it will share documents proving safety standards. Prive Jets doesn’t own or operate planes. It says the planes it sources “exceed” FAA requirements and all planes sourced for its jet card programs are manufactured in 2000 or newer. Sentient is also a broker, and goes into what it describes as an “open fleet” to source planes, which are aircraft from the “top 25% of operators.” Sentient does auditing and has an advanced certification process as well as a field auditing team. Only aircraft that meet and exceed these standards are used. To become Sentient Certified, aircraft are reviewed based on their history, including maintenance reliability. They must pass a physical inspection that covers key safety elements in addition to the comfort and condition of the aircraft. In the Business Jet Traveler survey, 80% of readers ranked the company Excellent/Very Good for Age of Aircraft and 86% said Cleanliness was at an Excellent/Very Good standard. Star Jets International is a broker. It sources from over 5,000 private aircraft worldwide. Operators providing service for Star Jets clients must meet standards set forth by the Federal Aviation Administration (FAA) for safety, security, and service, according to the company. Malta-based VistaJet has only had a U.S.-based fleet since 2013. The U.S. fleet is now entirely operated by Jet Aviation, one of the leading management companies in the industry (Its parent General Dynamics owns Gulfstream). Globally, VistaJet owns 72 Bombardier Global and Challenger aircraft. The fleet is ARGUS International Platinum rated and Wyvern Wingman Level. In the survey by Business Jet Traveler, 93% of respondents gave it Excellent/Very Good marks for Age of Aircraft and the same score for Cleanliness. The Wheels Up fleet of King Air 350i (all 2013 or later) and Citation Excel/XLS (2000 or later) are operated by Gama Aviation. They are ARGUS Platinum, Wyvern Wingman or have had an onsite audit completed by Wheels Up EVP of Safety. The King Air 350i is the defining aircraft in its fleet, more economical than jets, but well suited for missions up to 500 miles where a significant portion of the flight is the climb and descent, thereby minimizing the time difference versus a jet. What does Wheels Up cost? XOJET owns and operates a fleet that includes 42 Challenger 300 and Citation X aircraft. It also taps into some 1,000 more aircraft ranging from long-range Global Express to Very Light Jets and Turboprops. All planes must meet XOJET Charter Vendor Standards with ARGUS Platinum and Wyvern Wingman rated aircraft and operators. Some 83% of Business Jet Traveler readers marked XOJET Excellent/Very Good for both Age Of Aircraft and Aircraft Cleanliness. This entry was posted in Private Aviation Industry News and tagged Air Charter News, jet card, Private Aviation News on May 12, 2017 by FlightList PRO.